It is rather beautiful, this bandstand that is part of the grounds of the Prairie Land Heritage site. While visiting the fall steam show, I was struck again by how lovely this structure is. There were originally three bandstands where patients, staff and members of the town of Jacksonville would play. 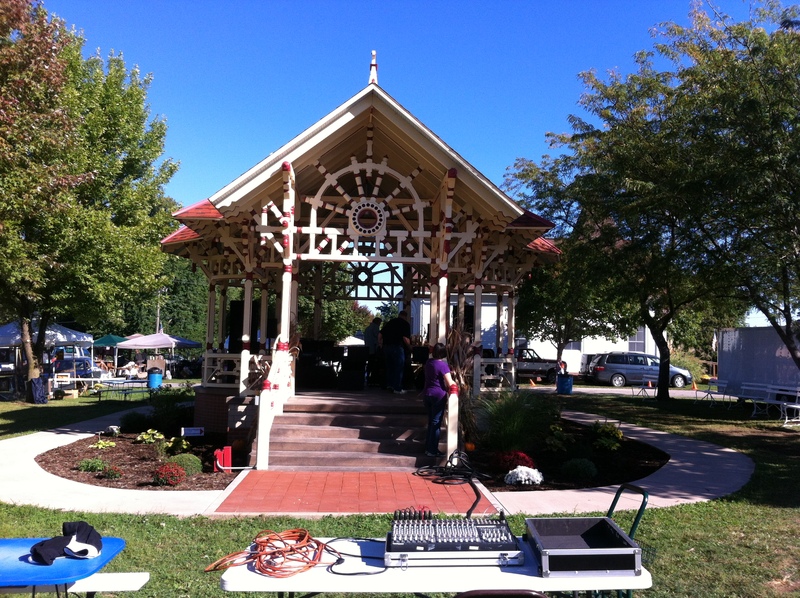 The bandstand was on loan to the National Museum of American History at the Smithsonian. With a lot of time and effort, the bandstand was rebuilt then returned to Jacksonville where visitors can enjoy the amazing woodwork.